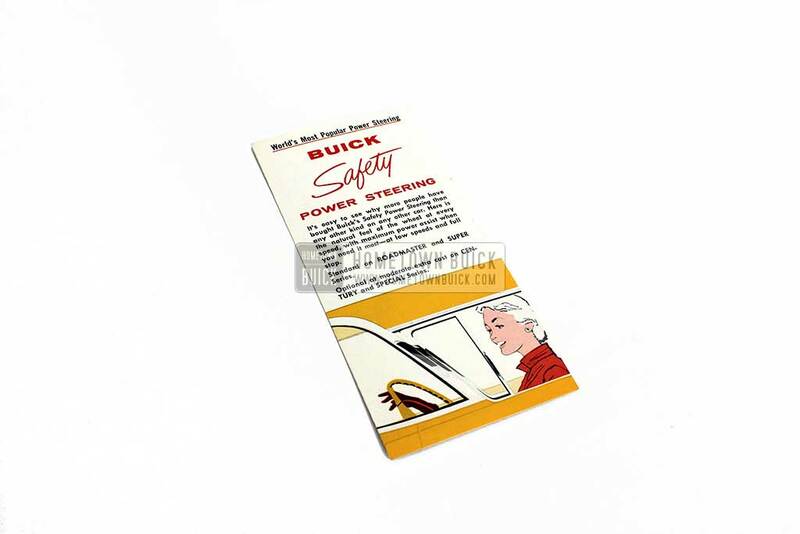 The content of this page is based on the 1957 Buick Power Steering flyer. 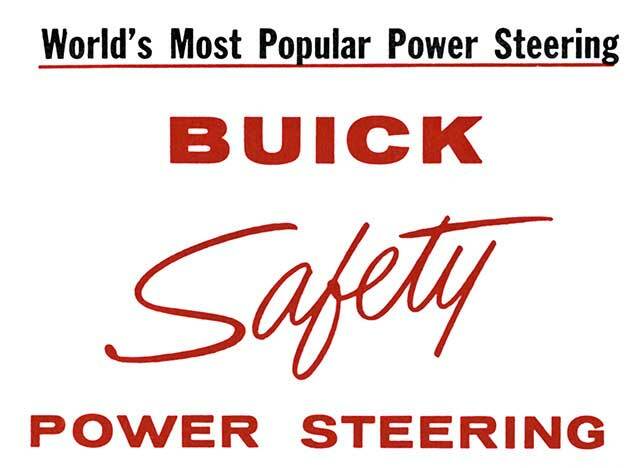 It’s easy to see why more people have bought Buick’s Safety Power Steering than any other kind on any other car. Here is the natural feel of the wheel at every speed, with maximum power assist when you need it most-at low speeds and full stop. Standard on ROADMASTER and SUPER Series. Optional at moderate extra cost on CENTURY and SPECIAL Series. The Easier, Safer Steering System! This revolutionary steering system is far superior “from the ground up” . 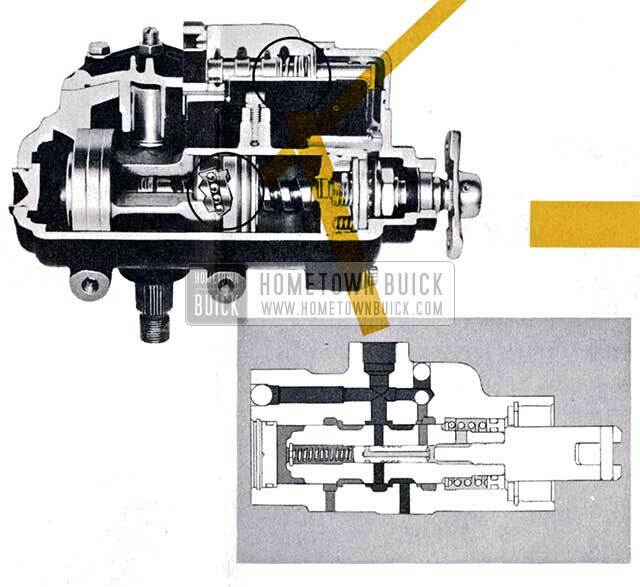 . . with basic improvements in both the mechanical and hydraulic components . . . the crowning achievement of the world’s foremost steering specialists. It was perfected by years of research and testing … not only at the General Motors Proving Grounds, but in hundreds of thousands of miles of driving on all types of roads under all climatic conditions, from Minnesota to Florida, Maine to California. The result is the finest handling characteristics ever built into any cars. 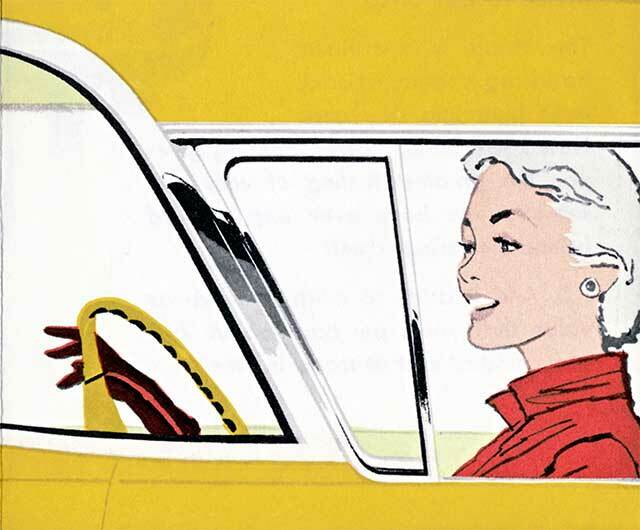 New 1957 Safety Power Steering gives you the greatest feeling of ease and security you have ever experienced behind a steering wheel! P.S. And it adds so much to used-car value that you’ll get back about 2 / 3 of its modest cost at trade-in time! The sum total of these advancements is a big reduction in driving fatigue mental as well as physical. 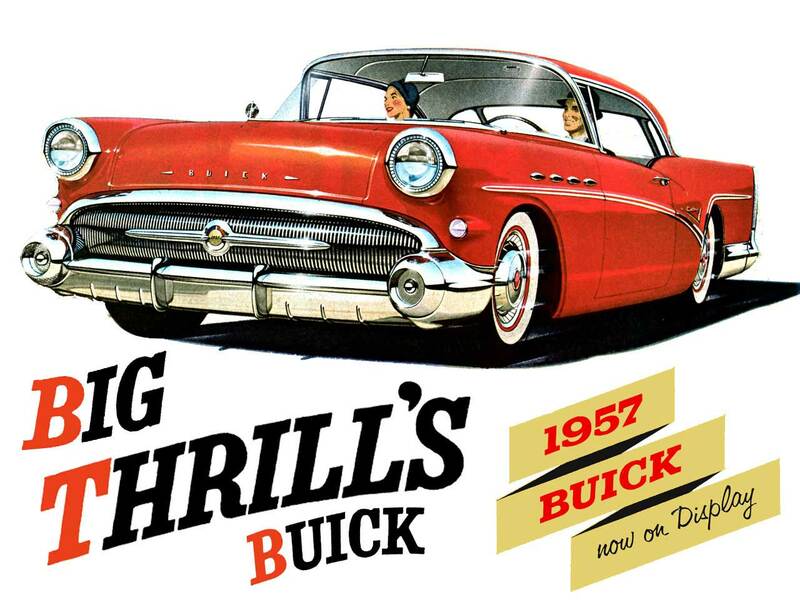 Bucking traffic or cruising the highway, you arrive more relaxed than ever! 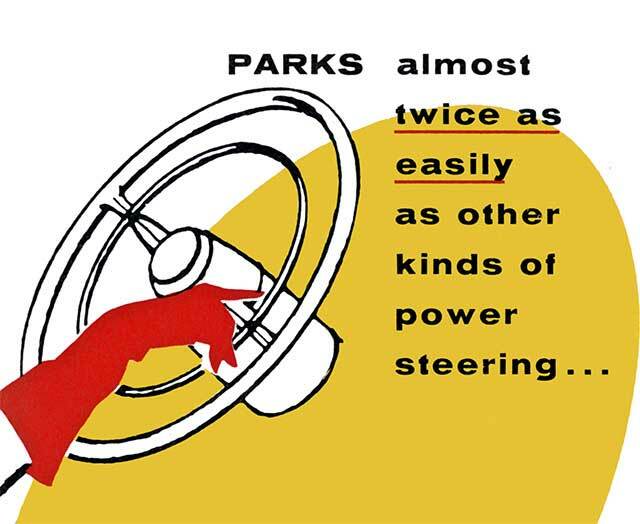 1957 Buick Power Steering responds with less twisting, more precision. Steering effort is always proportional to the turning resistance of your front wheels to prevent any oversteering. 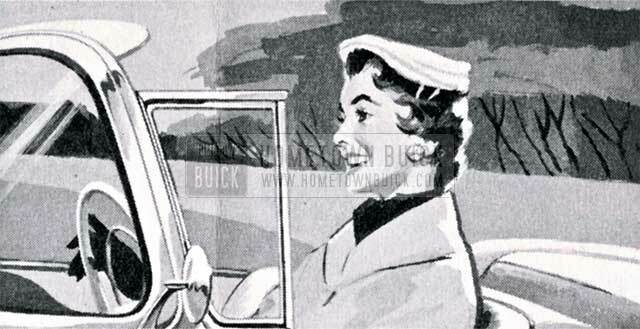 The revolutionary and exclusive new ” parking valve” in the 1957 Buick Power Steering System automatically gives you added assistance at very low speed or a standstill, when front wheels become hard to turn. You can swing them full right or left with one finger! The only power steering that automatically matches steering power to your driving needs! 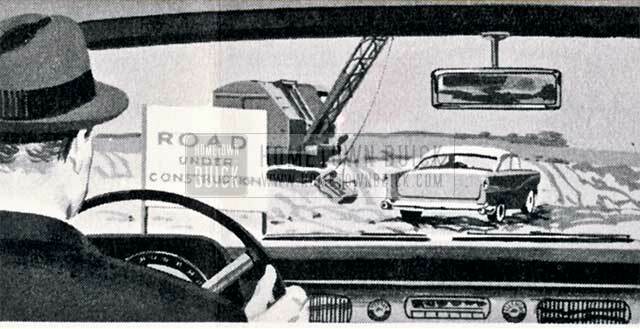 Our new 1957 models offer many fine safety features designed to help prevent injuries in accidents. But don’t you agree it’s better to prevent the accidents? The instantaneous power assist helps you steer out of harm’s way faster. The hydraulic pressure in the system acts as a shock absorber to help prevent the wheel being twisted from your grasp by a tire failure or sudden road shock. Helps prevent loss of control!